CHICAGO (WLS) -- A Chicago scrap metal company and its president each pleaded guilty to tax violations after concealing $11.6 million from the IRS, the U.S. Attorney's Office for the Northern Illinois District said Wednesday. 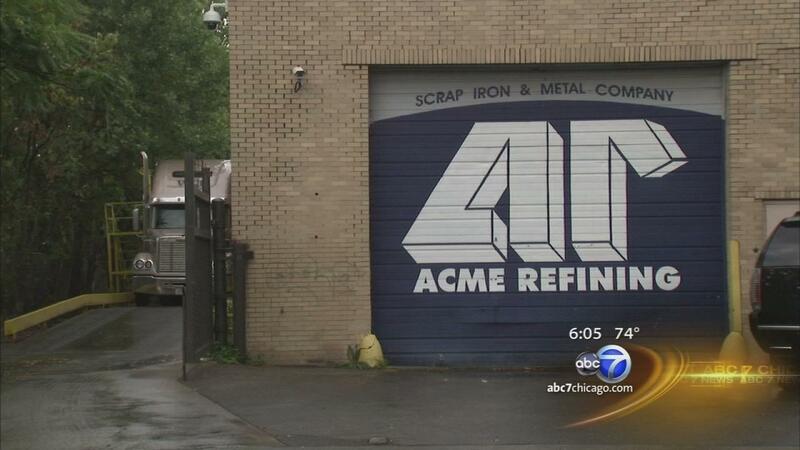 In 2013, the I-Team reported that federal agents raided the Bridgeport scrap metal recycler Acme Refining. Acme and its president, Laurence Baron, each pleaded guilty to impairing and impeding the IRS, admitting that from 2009-2013, they paid $11.6 million in cash wages to at least 50 employees and failed to report the payments to the IRS. They also failed to withhold required amounts for FICA taxes and Medicare. As part of the plea agreement, Acme and Baron agreed to pay restitution of $5,878,327 to the IRS and the state of Illinois, with Acme paying $4,545,243 and Baron paying $1,333,084, the U.S. Attorney's Office said. The 70-year-old Baron of Burr Ridge also pleaded guilty to a separate count of willfully filing a false individual income tax return. The plea agreements said Baron directed Acme employees to issue vouchers for cash payments to suppliers that exceeded $10,000, using fictitious payees as the purported seller. Baron and Acme obtained $152 million from two currency exchanges to pay 85 different scrap metal suppliers to help the suppliers underreport income and taxes, the plea agreements said. Baron also directed Acme to spend at least $1.6 million to build a house in Wisconsin that had no business-related purpose and was listed as "cost of goods sold" in order to reduce Acme's tax liability, the U.S. Attorney's Office said. Impairing and impeding the IRS and willfully filing a false individual income tax return each carry a maximum penalty of three years in prison. Sentencing has been set for Set. 14, 2017.